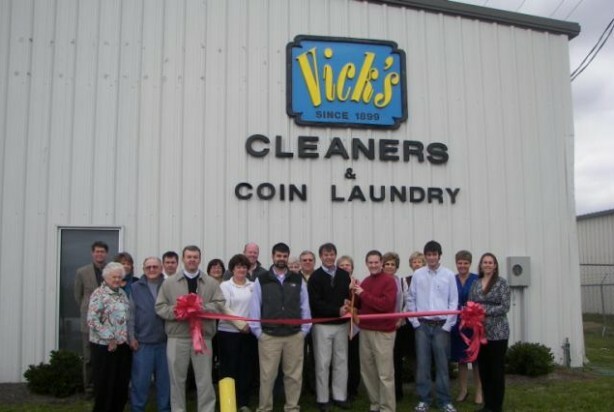 Located at 633 Sussex, Vickâs is a family-owned business with more than 110 years of continued service to the Kinston area. Mayor BJ Murphy and others were on hand to help the Vick family celebrate their new location. Â You can easily find them behind the McDonalds Hwy 70. Â Call on them for all your laundry, dry cleaning and fabric restoration needs. Â They are specialists in their field using the latest techniques.